Decorate your home for the holidays with a set of 12 Handmade Decorative Ornament Hanger Hooks. 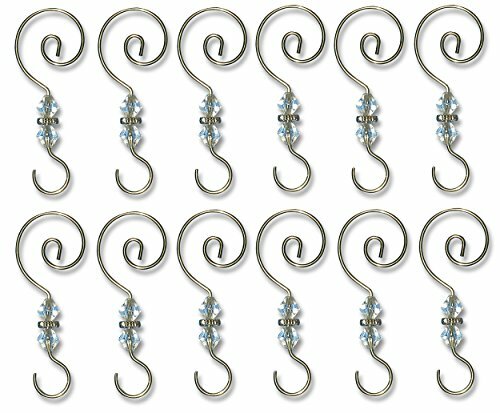 These Hooks are made of heavy duty stainless steel and have acrylic crystals and silver charm accents. Each hook measures approx. 3" in length. HANDMADE DECORATIVE ORNAMENT HOOKS. Pack of 12. ACRYLIC CRYSTALS and Silver Charm Accents. STAINLESS STEEL HOOKS. Silver Ornament Hooks. ORNAMENT HANGERS for all your holiday decorating needs.